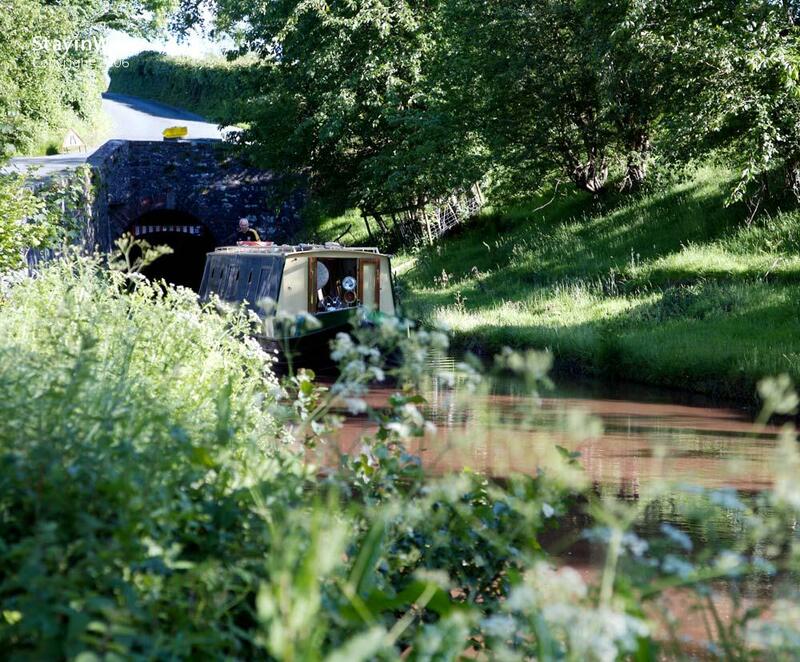 Between Llangynidr and Talybont-on-Usk is the longest tunnel on the Monmouthshire and Brecon Canal, the Ashford Tunnel. With little headroom and no tow-path, the only way for non-motorised boasts to travel its 375 yard length is by 'legging'. In this shot a narrowboat has just emerged from the western [Talybont] end of the tunnel.